After gaining this giant concession the U.S. government still refused to sign the Kyoto Accord, thus sabotaging years of international effort at an agreement. The provisions of the Kyoto Protocol nevertheless became the basis of all future proposed international meetings on a climate treaty, including Copenhagen 2009, Cancun, 2010, Durban 2011, Doha 2012 and the United Nations upcoming 21st Conference of the Parties on Climate Change meeting in Paris in 2015. In all past international conferences it was again and again the U.S. government that sabotaged the meetings and refused to be bound by any treaty. The Obama Administration on Aug. 27 again confirmed that at the UN meeting in New York in September to prepare for the 2015 Paris meeting that only a non-binding agreement could be put forward. Unless the climate activists at the grassroots level challenge this exemption of the U.S. military and begins to focus a laser light on the most dangerous source of global warming and climate change, the movement will be lost in vague generalities, utopian hopes and toothless accords. The only hope that the mass outpouring in September in New York will have an impact is if independent voices can begin to consciously challenge the greatest global polluter. Exposing the horrendous social costs of U.S. militarism must also be part of the challenge. Washington’s military role acts to constantly reinforce at every level the repressive state apparatus. For decades, and at an accelerated pace since 2001, the military has provided an endless stream of free war equipment to local city and state police, National Guard units and sheriffs’ offices. Youth of oppressed nations within the U.S. become targets of a vastly expanded police state. The fresh images of tanks and armored police in Ferguson confirmed for millions the results of this racist policy. Exposing the devastation of U.S. wars in Iraq, Afghanistan and Libya is essential. These U.S. wars have contaminated the soil and water of vast regions under U.S. occupation with depleted uranium, benzene and trichloroethylene from air base operations and Perchlorate, a toxic ingredient in rocket propellant. More than 1,000 military sites in the U.S. are filled with these toxins, topping the Superfund list of contaminated sites. The poorest communities, especially communities of color, are the most severely impacted by this continuing military poisoning. 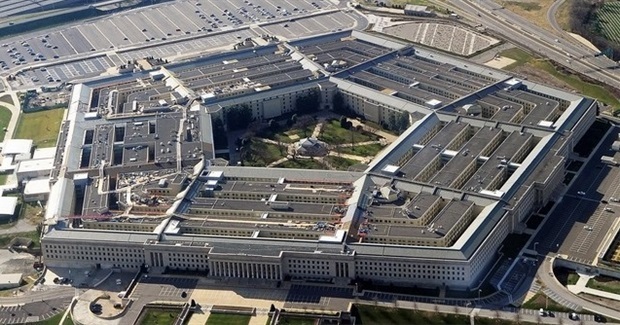 It is essential to connect the Pentagon exemption from international negotiations to its primary role as the protector and expander of corporate power on a global scale. The most powerful and profitable corporations are the oil and military corporations; these are the other primary polluters. Unlike the climate change deniers, the Pentagon’s own published studies confirm the danger to the planet. But U.S. officer corps is committed to what they call full spectrum dominance. So every study of climate change by the military planners is based on evaluating how to take advantage of the future crisis to more firmly entrench U.S. corporate power and protect the irrational capitalist system that has created this crisis. The Pentagon studies are not on plans to deliver emergency aid in the face of climate disasters such as floods, droughts, famines, epidemics, typhoons, tornadoes, hurricanes, ice storms, water shortages and damage to infrastructure. Their war colleges and think tanks’ plans are on how to extract political concessions on docking rights and future military access during a besieged countries’ hour of greatest emergency need. The military officer caste is focused on maintaining Wall Street rule and capitalist property relations during a crisis. There is concern with preserving the authority of their puppets, allies and collaborators. Military and corporate planning is callously focused on how to take advantage of the life-threatening changes. A most frightening example is the National Strategy for the Arctic Region. This White House Report opens by praising the Arctic as “an amazing place.” But then quickly defines the need for focusing on strategic priorities to meet the challenges and opportunities ahead. In 2014 Defense the Center for Naval Analysis issued a study titled: “National Security and the Accelerating Risks of Climate Change.” This report, a follow-up report to their 2007 report, prepared by eleven retired generals and admirals sees climate change as the source of international instability and the greatest threat to the established capitalist order. Based on these reports and on the U.S. role in every climate meeting in over 20 years it is clear that U.S. corporate power and the monstrous military machine it has funded must become a focus of class-conscious climate activists. This would contribute greatly to an understanding of the source and the real solutions to this global crisis.